I’M sure everybody has been seeing Coverage from this event from SFNEOnline and countless other Media Outlets all week long as everybody was covering various things !! For those that do not know what IAAPA is, it’s an Amusement Industry Trade Show ! 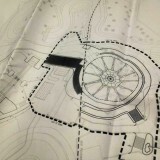 It has manufacturers , Vendors, Games, Food, Water Park Stuff, basically anything to do with the industry ! We were able to obtain Press Passes and traveled down Monday afternoon to IAAPA and first on our stop was of course FUNSPOT in Orlando, FL ! 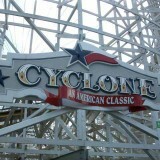 It’s home to an amazing wood Coaster called White lighting and the park was empty , no waits on anything what so ever ! So basically had our own personal ERT session while we were there. The security guy that was checking us while going through the metal Detector was awesome ! Very friendly and a fun guy ! All the Employees at this park are awesome ! We stayed for a few hours, rode everything we wanted and then went back to the room since, well IAPPA started the following day on Tuesday and since we had never been, well we decided to get some rest ! WE heard the place is massive and once you hit the TRADE SHOW FLOOR , you would just be in awe of all the awesome stuff ! Remember this place has all the big names and the little guys too ! 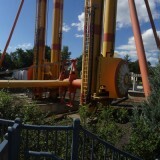 RMC, B & M, MACK, ZAMPERELLA, CHANCE, HUSS, Intamin, Zamperella, GCI, ETC. You get the idea ! They also had a pretty neat Swag Bag which had a hat, power converter plug and mints ! They also had before officially opening IAAPA a nice musical battle. On The Stage to the right was a beat boxer, to the stage on the left was some tap dancers and as time went on, more and more people came out on both sides and was actually pretty entertaining ! They also Opened IAAPA with tons of Confetti blowing inside ! Once we left the Theater , we had about 10 minutes or so before we could officially go to the SHOW FLOOR ! Once we did , I headed off with Derrick to the SeaWorld/Intamin unveil ! SeaWorld talked about attractions for 2018 across all the parks and , then we moved to the other side which was Intamin’s booth as they unveiled, the new boat to Infinity Falls at Sea World Orlando, complete with a Snake and a SLOTH ! 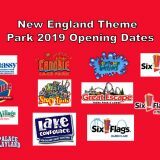 Infinity Falls is really going to be a great ride when it opens in 2018 ! After that we kept walking the floor and trying tasty treats all day ! We did head over to the MACK Booth to see the Silver Dollar CITY unveiling of Time Traveler Train , which had a fantastic unveiling and after that I bumped into our great friend BIG MIKE from BIG Mike’s ROAD SHOW ! Of course we took our selfie and great seeing him as always ! We moved booth to booth with my brain having a sensory overload at all the awesome that is IAAPA ! Its hard to explain, Pictures & video will never do this justice , you just have to go to experience it ! 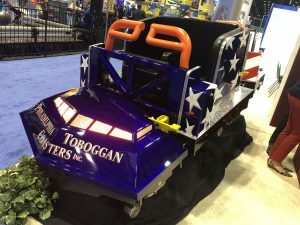 Pro Slides had awesome models of their products, PTC had two trains on display ! I did head over to Stern Pinball to check out Guardians OF The Galaxy Pinball Machine, as well as Jersey Jack’s Booth to check out their new machine as well Pirates Of The Caribbean ! These two machines are great and highly suggested ! 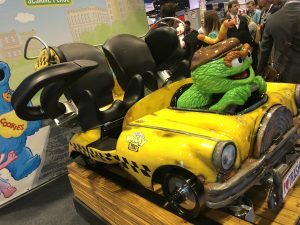 We did make it over to Gravity Group Booth to check out Oscars Wacky Taxi Coaster Train , which is really themed well for Sesame Street Park for 2018! 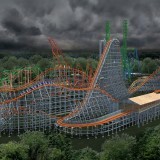 I personally cant wait to ride this coaster !!! There is tons of VR on the show room floor as well as lots of crazy new technology ! 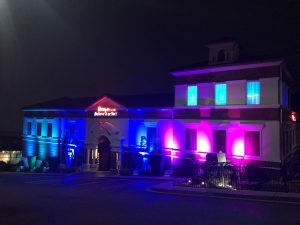 I did find a Haunted House, Escape Rooms, Walk Thru Shooting Gallery and other awesome stuff ! Again Sensory Overload was everyday I was there ! So much to take in ! Out doors had tons of inflatable bouncy house stuff, a portable IFLY, Rope Courses, Spin Bumper Cars and a remote control car track that drove on an inflatable track ! 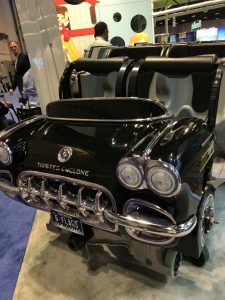 We also headed over to RMC to see the Twisted Cyclone Train , which is beautiful ! We did leave around 3:30 PM to head off to Walt Disney World and head to Magic Kingdom for Mikey’s Very Merry Christmas Party ! The last time I had been to this event was in 2012 and I will say it has changed a lot since then ! When we walked in they had us go down a path to the right , where we were greeted and handed a giant Santa head Sugar Cookie , you could wait in line for Christmas Photo Ops and also buy stuff if you wished to the events theme ! This was different from 2012 ! After that we were officially in the park and we started going on rides until it was time for some shows. The jungle Cruise changes for Christmas to Jingle Cruise and is hysterical ! We rode Pirates Of The Caribbean, We did get some food after rides on Space Mountain and Big Thunder Railroad ! After Dinner it was time for Frozen Wishes Show at Cinderella’s Castle and I’m not a fan of Frozen , but we still did Facebook Live for it . Then afterwards it was time for the Christmas Time Parade, which I always love ! 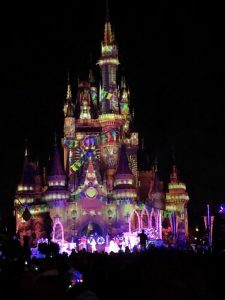 Later on it was time for Wishes Fireworks, which the blending of projections on the castle, mixed with fireworks and music is simply amazing ! Disney does a really good job wit their Christmas event , I have not seen a park come close yet in terms of what you get for your money ! The wonderful snack stops were great as well, with a mix of snacks at different locations across the park helped keep us fueled for the evening ! Also another highlight most of the rides were a 10 minute wait or walk on’s , except for 7 Dwarfs, that was running around a 30 minute wait time! We did end the night with a final ride on Space Mountain and then the event was over ! Time for sleep for Day 2 of IAAPA ! Day 2 of IAAPA kicked off and we got there a little past 10, we were beat from the at before and we looked at the step counter and we did well over 30,000 steps ! That’s a lot for me hahaha, I average about 10-12 K a day ! So I ventured over to where all the gaming stuff was and found awesome air hockey tables and other various gaming, There is a new PONG Coffee Table game which I couldn’t contain myself and pre ordered one ! After that as we walked through the isles, we noticed a huge crowd and as we walked by, it was none other then WWF Superstar HULK HOGAN ! He was at the show looking for attractions for his Hogan Beach Shop in Orlando ! After that we ventured to SKYLINE ATTRACTIONS BOOTH ! 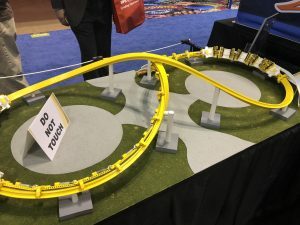 They do have TWO new concepts they are putting out, One is this crazy big design and the other is a smaller 30 FT taller model with a corkscrew and airtime hill ! 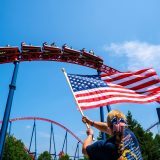 I know the debate is out if SKYLINE is a coaster or not! You be the judge ! 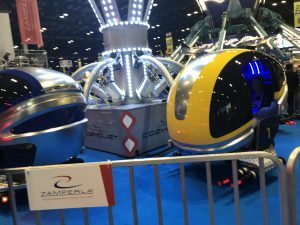 I did go over to the Zamperella BOOTH and they had this new flat ride, when first sight, it looks like just a basic flying flat ride , but its not ! when you get inside it has a screen and a XBOX controller . The XBOX controller fly’s the car your in, as well as you can use the thumbstick to aim and one of the buttons shoots ! I really hope a park buys one ! Its a fantastic ride ! I did check out some of the cool FOOD samples they had ! It was now about 5/530 and we had met up with Dan from Project Pinball and went out to dinner with one of his friends ! I did have to leave right away after eating to head to RIPLEYS BELIEVE IT OR NOT ! I had a tour scheduled for 7 PM ! You can check out the video & review on SFNEONLINE.org main page !! Trust me you do not want to miss that awesome video ! 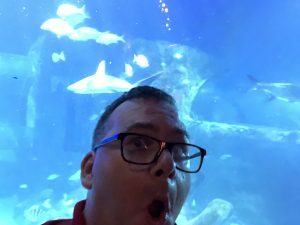 After the tour I drove right next door to where the Orlando EYE is and bought tickets to SEALIFE Aquarium & Madame Tusauds before going back to the hotel to rest up for DAY 3 of IAAPA ! You will see all the awesome stuff from these two places in the video below ! It really is a great place to enjoy and both attractions are a must do if you’re visiting the ORLANDO EYE ! Wax Figures & Fishes really do bring a smile to my face ! Especially my stupid poses ! 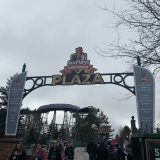 I really loved it, it was a giant toy store for COASTER Enthusiasts , BUYERS, and Industry types ! My mind was blown away at all the amazing technology coming out for the present and the future ! It truly is an exciting time in the industry and can’t wait to see what happens ! Honestly I am personally sick of the VR craze going on and hope it dies off soon ! VR on motion simulators in say a FEC setting is really where it should be or museums and attractions like that ! 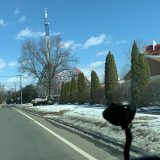 Keep it off Roller Coasters and popular rides ! 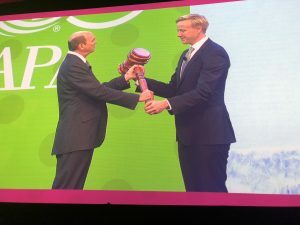 I am grateful that I was able to attend IAPPA and hope to do so next year as well ! I bumped into old friends and even made new friends ! I had the time of my life and wish I did not have to leave ! 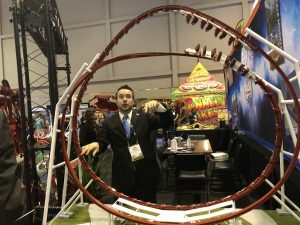 I’m excited for the innovation that companies are bringing to the table and the Amusement Industry has a bright future ahead ! 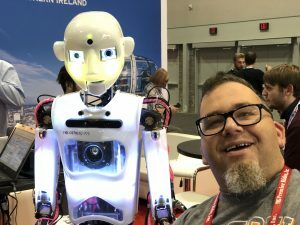 Thank you for reading my thoughts and experience on IAAPA and below is our video compiled of Pictures and VIDEO we took throughout everything I talked about above ! As always if you could show us some love after watching the video, please share it on social media, SUBSCRIBE to the YouTube channel, Like the video, Comment on the video, let us know if you went, let us know what you enjoyed in the video !